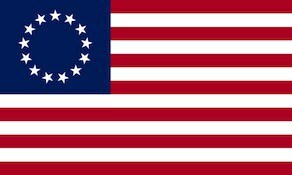 The 4th North Carolina Regiment was raised on January 16, 1776 at Wilmington, North Carolina for service with the Continental Army under the command of Thomas Polk. The regiment saw action at the Battle of Brandywine, Battle of Germantown, Battle of Monmouth and the Siege of Charleston. The regiment was captured by the British Army at Charlestown, South Carolina on May 12, 1780. The regiment was disbanded on January 1, 1783.